How to tell a story that is predominantly down-beat and remain both entertaining and moving? Director and writer Destin Daniel Cretton delivers this incredibly powerful story that is about truly troubled teenagers but manages to imbue all the characters with so much damn heart and humanity that it is impossible not to be affected and drawn into their worlds. As you may be aware from my recent posts, I had some problem with Blue Ruin and The Past, both dealing with difficult subject matters but I think my main beef was that I didn’t feel included or let in emotionally. 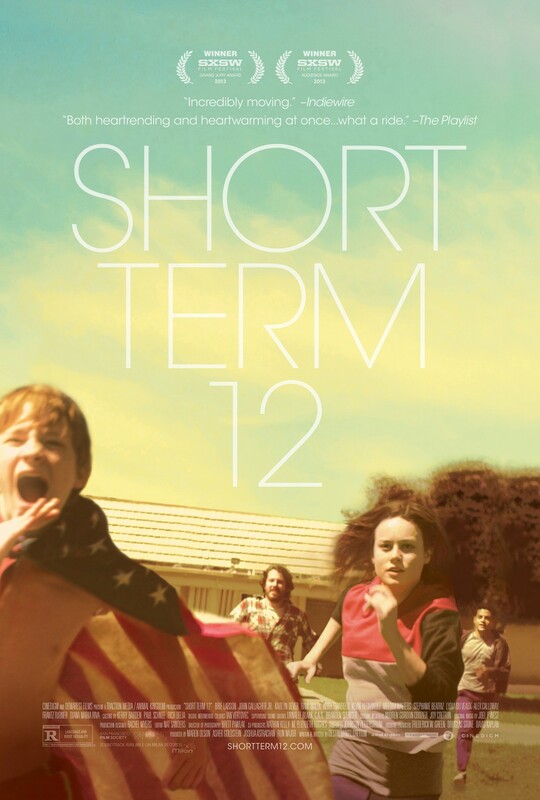 With Short Term 12 this is not the case, from the carers to the kids, each and every one felt real and 3 dimensional. There is a plethora of heart in this film, it seems like its going to burst right out of the screen, but not in any kind of over-sentimental way, true heart, true emotions, true grit. The star of this piece is an actress whose work I have enjoyed in everything I have seen her in (Scott Pilgrim, The League, 21 Jump St and Don John), Brie Larson. Here she gets to show everybody how fricken great an actor she is. It just a joy to watch her journey and the intelligence and reverence she clearly has for this piece shines out. She plays Grace, a young counsellor working in a foster care facility doing her best with children who have had to be pulled out of their homes because of varying degrees of messed up home situations. Abuse and neglect are difficult to portray without over-egging the emotions, here that definitely doesn’t happen. Cretton always veers away from the obvious choices in both the dialogue and the direction and for that he gets my vote, he manages to avoid emotional clichés at every turn. John Gallagher Jr, who was one of the best things about Aaron Sorkin’s The Newsroom, is again brilliant here as Mason, Grace’s co-worker and partner. His job is not an easy one and he delivers a performance filled with nuance, levity and depth. Rami Malek plays Nate, who we meet on his first day as a counsellor at this facility and we are also introduced to this world as he is. The kids. Wow, what a talented bunch they are. Much has been said about the documentary feel of it and this is down to the actors. All of them. The children are so immersed in their characters that you really feel like a fly on the wall at times, this is a testament to their skills but also to the director who didn’t allow for overt histrionics. As we get to know the children and care-givers we are drawn deeper into this world where life is an everyday struggle, but unlike the two films I mentioned before, this film has some wonderful light touches that temper the tragedy and allow the viewer to take the journey without being constantly beaten by the rod of misery. Special mentions go to Kevin Hernandez who plays Luis, Keith Stanfield as the damaged Marcus and Kaitlyn Dever as Jaden, who becomes the catalyst for Grace having to deal with some previously avoided deep personal issues. This film is a joy to watch, filled with life, love and tragedy; it is a story excellently told and all credit to everyone involved in this important, powerful film. Watching the trailer for this Chinese horror film, the stand out element was the incredible imagery-a Nosferatu-like man-beast swimming in slo-mo towards the camera, the ghostly twins gliding with smoke-like tentacles surrounding them, the fight sequences. This looked like a film that had to be seen. 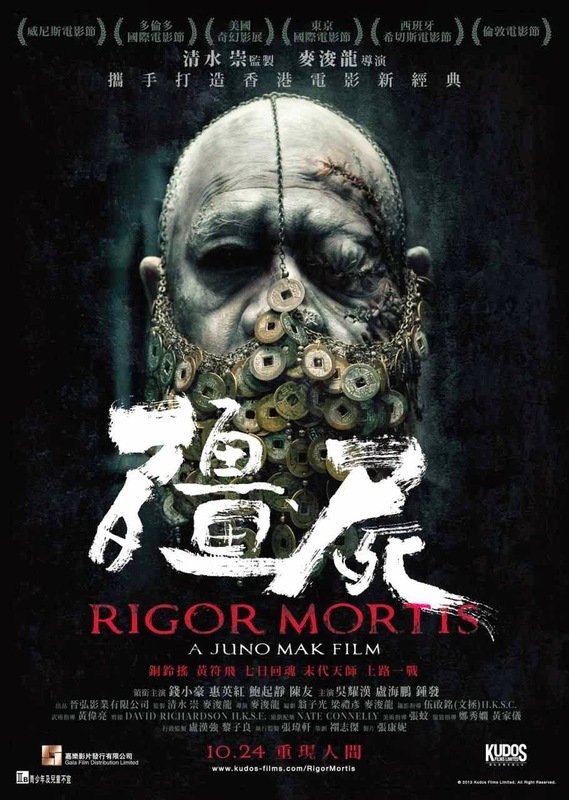 Rigor Mortis plays out with a sombre, slow pace so when the set pieces come along they manage to lift it but make no mistake, this is arthouse horror. Having done a bit of research after viewing, what became evident was the amount of references to the Chinese vampire films of the 1980’s, especially Mr Vampire with which Rigor Mortis shares two lead actors. This is a film about regret and choices, although never explicitly explaining, it is definitely heavily inferred. Ho-Sui Chin plays a version of himself (same name) as a man who is at the end of his tether and moves into a tenement to finish off his days. There, he meets Yau (Anthony Chan), a former Vampire hunter who now owns the restaurant in the building. Hee Ching Paw is Auntie Mui married to Uncle Tung (Richard Ng), an old couple who also live there. When Uncle Tung has an accident she seeks the help of Uncle Yin (Hoi-Pang Loi) who we discover is involved with the dark arts. It’s clear from the off that this building has its fair share of otherworldly entities and so our story begins. The cinematography is beautiful; all grey and blue hues and the music is suitably eerie. Unfortunately, this wasn’t that scary, unsettling a touch maybe, but lacking in the fear department. Again, we are in the territory of how, and if, we empathise with the characters and although they are well fleshed out, there is still something missing. Directed by record/film producer and Hong Kong singer Juno Mak, here he shows promise with his first film and from what I’ve read it is a film that benefits from knowledge of Chinese culture.